The significance of the rock and roll revolution extends beyond music. Rock music was one of the most important and influential cultural forces in the U.S. over the past half-century. More vital and alive than any other music heard before its time, rock and roll brought young people together and enabled them to communicate across social, racial, and cultural divides. A revolutionary force in the fight against injustice, rock was a unifying power used to break down class, race, and geographic barriers. One of rock music’s greatest champions is Steven Van Zandt. Van Zandt, also known as “Little Steven” is well-recognized as a Rock and Roll Hall of Fame member, member of the E Street Band and Southside Johnny and the Asbury Jukes, architect of the “Jersey Shore” sound, actor, singer, radio host, guitarist, performer, producer, and songwriter. More than any of these things individually, he is a rock and roll advocate and ambassador for young people, preserving rock music and fostering the next generation of rock musicians. Experience the dynamic energy of rock and roll when Little Steven and The Disciples of Soul perform at State Theatre New Jersey on April 29! Unable to live with a world where “we have at least one generation of kids, maybe two, who haven't heard rock and roll,” Van Zandt launched Little Steven’s Underground Garage, his radio show dedicated to the survival of rock n roll as an art form, preserving rock music, and promoting the artists who create it. Presenting music from seven decades of rock, the show features rock and roll pioneers and enduring legends alongside new releases by emerging rock artists. LSUG connects the dots across multiple genres and categories with a playlist that includes garage rock and everything related –girl groups, the British Invasion, rockabilly, Motown, surf music, the British Invasion, psychedelic, punk - from rock’s 1950’s roots to modern day. More significantly, the show has introduced 700 new bands introduced since its’ 2002 launch. Defying skeptics who insisted “You can't play rock and roll on the radio anymore," Underground Garage became one of the most successful syndicated rock music radio shows in the past 40 years, with 1.2 million listeners. It is broadcast on over 80 stations in 200 plus markets, including internationally through Europe, South America, and Australia. Sirius XM Satellite Radio tapped Van Zandt to create and produce its first original 24/7 content channel, the Underground Garage. To introduce students to the significance of music in an environment of decreasing school arts funding, Van Zandt established the Rock and Roll Forever Foundation. Together with a team of educators, the nonprofit developed TeachRock.org, an online resource connecting the history of rock and roll music to classroom work across disciplines such as language arts, science, media studies, and history. 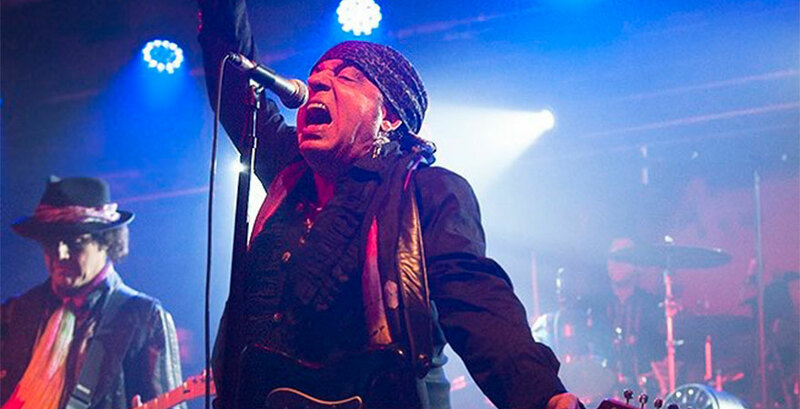 Little Steven and the Disciples of Soul’s 2018 U.S. Soulfire tour, kicking off at State Theatre New Jersey, will benefit the Rock and Roll Forever Foundation and raise awareness about the resources TeachRock offers. Soulfire, Little Steven and The Disciples of Soul’s first solo album in close to two decades, revisits some of the most significant songs of Little Steven’s career and celebrates the sound and style that influenced and defines him musically. More than a career retrospective, Soulfire’s music moves across multiple genres and provides a rock and roll history lesson with modern twist - doo-wop in “The City Weeps Tonight,” a rugged Chicago-style blues in a cover of Etta James’ “Blues is My Business,” and a jazz-infused funk on “Down and Out in New York City.” The Disciples of Soul, an impressive 15-piece strong backing band including a full, five-piece brass section, percussionist, drummer, two keyboard players, bass, and a guitar, and three spirited back-up singers, create an imposing wall of sound on “Love on the Wrong Side of Town,” For longtime fans the album captures the distinctive “Jersey Sound” of rock-meets-soul-meets rock guitar sound in reworks of “I’m Coming Back” and “I Don’t Want to Go Home.” that Van Zandt originally wrote for Southside Johnny and the Asbury Jukes. Join State Theatre New for a night that sizzles with classic rock and soul when the legendary Little Steven and the Disciples of Soul perform on Sunday, April 29, at 8pm!